Listening to and sharing stories has a critical role in the growth and development of children. It’s benefits range from academic to emotional. Take a look at the ways you can use stories to affect the kind of person your child could turn out to be! Being told stories and being read to at home are the things most likely to help make your children successful learners at school. When children hear stories from you, see you read books or talk about stories in books, they understand that words and text can be the same thing. This helps them feel far more confident when it comes to reading, talking and sharing. This kind of confidence will help them right throughout their childhood and well into adulthood. Children need to become proficient in their first language before they can fully grasp a second one. As soon as your child is born, talk to them, read to them and tell them stories in their first language. Language acquisition happens at a very young age, so each minute you spend telling your child stories is one that has a long term impact on them! Moreover, when your children become older, stories become the stepping stone to understand ideas and concepts. You inadvertently teach your child critical thinking skills by sharing stories, asking questions, and interacting with them on subjects that interest them. When children read stories in which characters experience difficult situations, or stories that explore feelings, it helps them deconstruct and understand their own feelings better. It helps them understand that feelings, both positive and negative, are normal and can be expressed. Noting how your child reacts to a character in a story who experiences sadness or fear gives you an opening to talk to your little one about how they feel about the situation. This not only helps children figure out how to think about difficult situations, but talking about it with you means they’ll feel more comfortable to share their own difficulties with you in future. In this way, stories are powerful in building trust. Get your own story published! 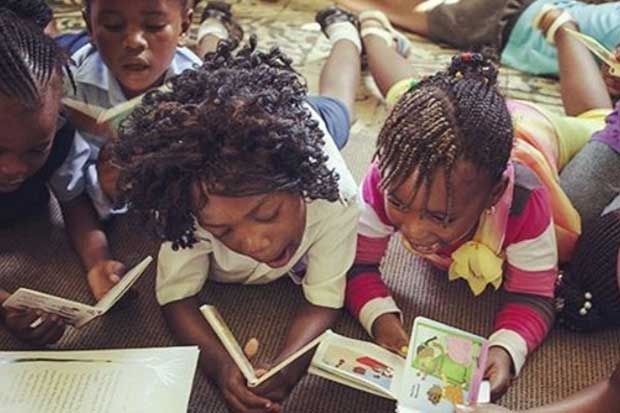 This Literacy and Heritage Month, Nal’ibali is celebrating how powerful stories are crucial in changing your children’s life, and even changing South Africa! With its Story Bosso campaign, Nal’ibali is inspiring adults and children across the country to share the stories that matter to them. Record your story and send it through right here. If your story wins, you’ll win prizes AND Nal’ibali will publish your story as a book! If this has inspired you, submit your story to Nal’ibali here: www.nalibali.org.